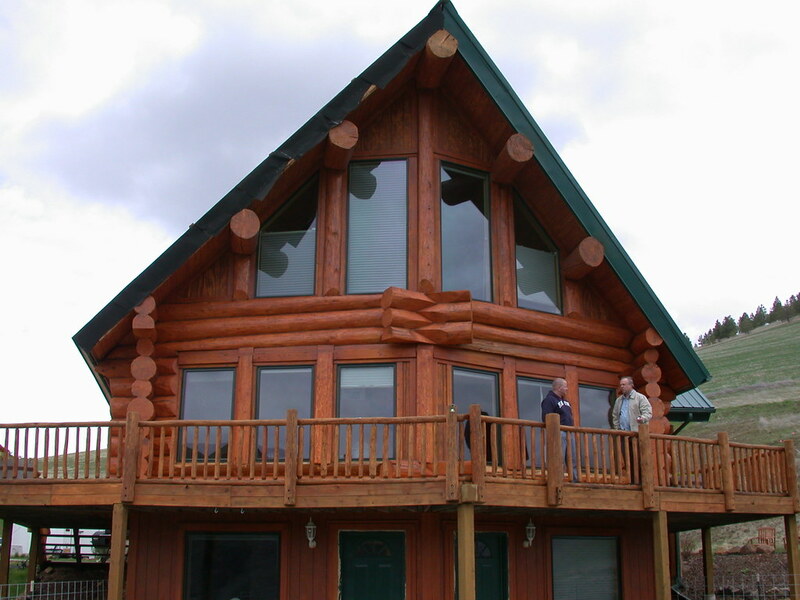 Protection from exposure to the elements is paramount to the longevity of log structures. A key area that tends to suffer damage is a high gable wall with a prow roof (a roofline whose overhang slants back to the wall corners). 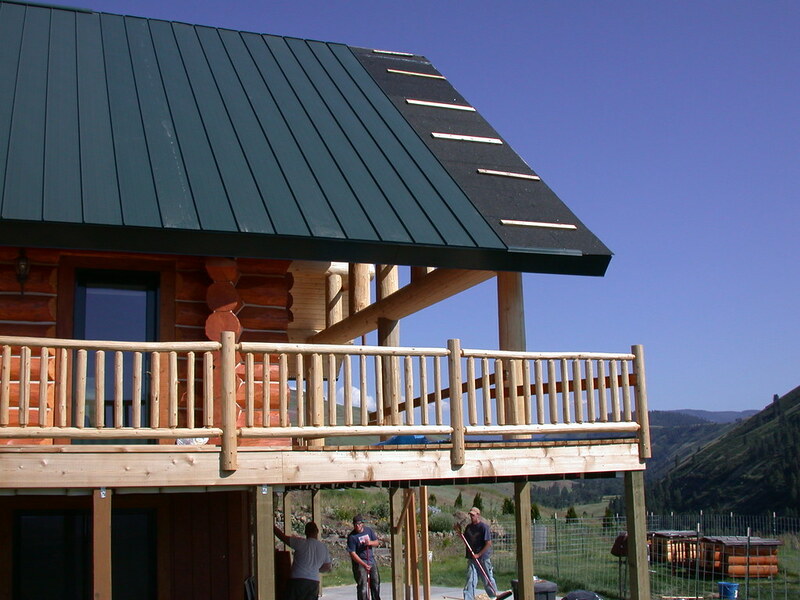 Not only is a large amount of wall area directly exposed to wetting during rainfall but the prow edge is often ineffective against deterring roof water runoff from falling and splattering directly below to a deck or patio and back onto the log surfaces. Furthermore, such high walls are often predominately glazed to capture a view or let in daylight. If such an orientation is Southerly, then uncomfortable levels of solar gain may be experienced. 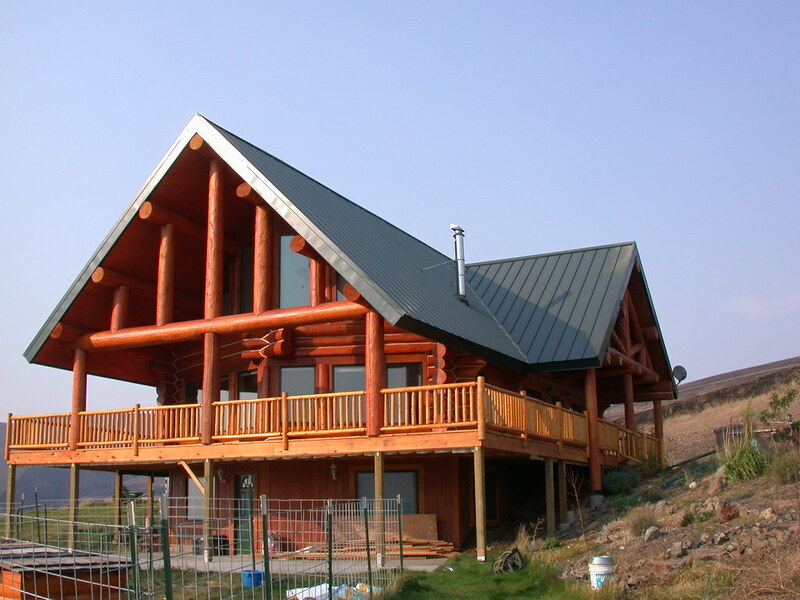 Particularly in warmer climates cooling bills may become higher than desired. 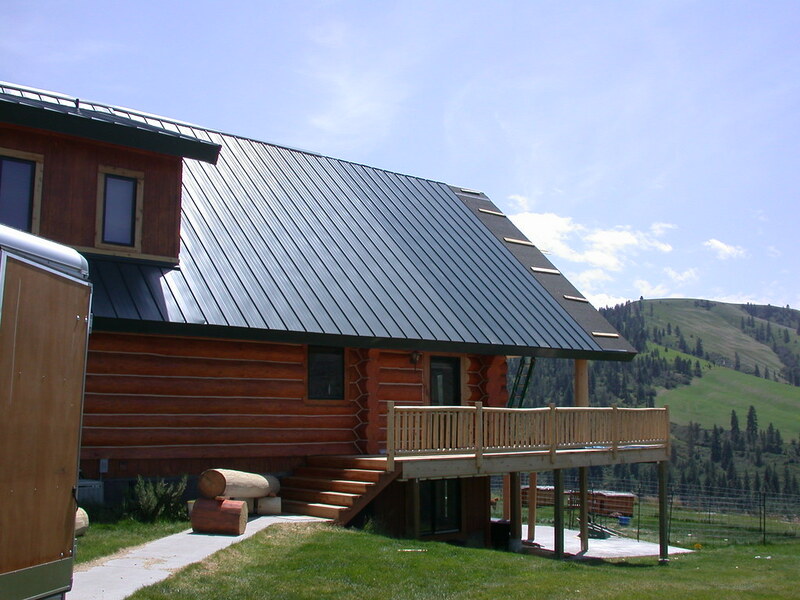 A very effective solution to both issues is to extend the prow roof into a gabled porch roof. 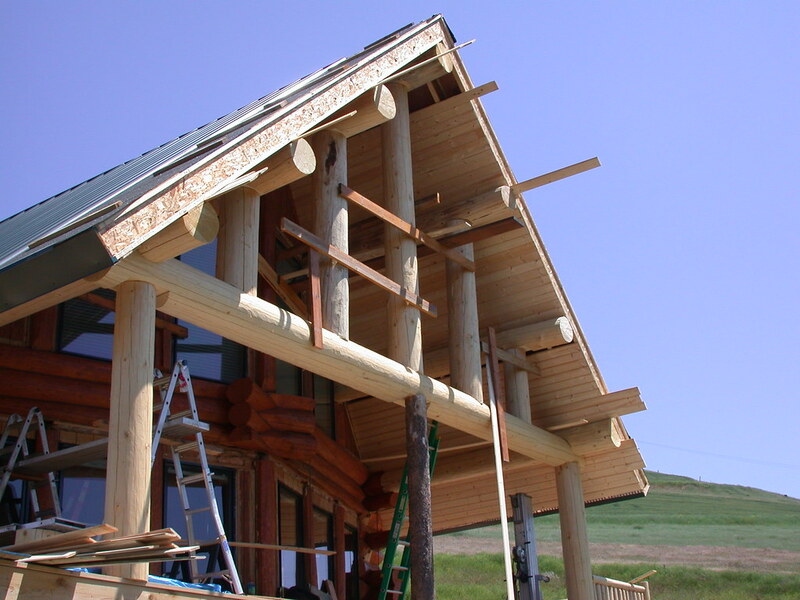 With this Eastern Washington home, built by others, the existing roof purlins were cut back to the wall and replaced with new, longer members whose outermost ends are supported by a framework of new logs. 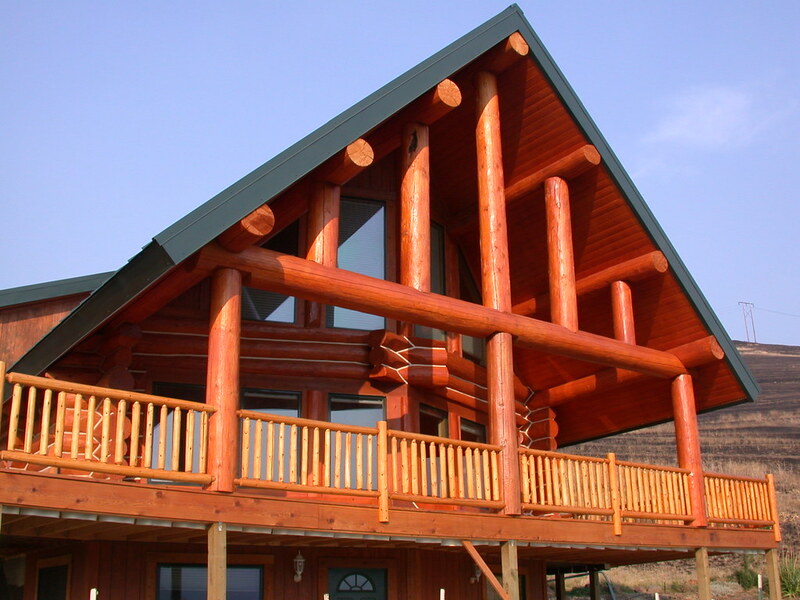 A number of patterns for the log framework exist utilizing posts, or posts and horizontal beams, or posts and log trusses; the homeowners decided upon the post-and-beam configuration shown here.